Dogs are a big part of any family or household they live in. So it’s only natural that as a pet owner, you may be tempted to treat your dog like a human occasionally when it comes to food. Additionally, it’s easy to find examples of people feeding human food to dogs through media and social media, but is this practice healthy and safe for your dog? Dogs and Human Food. Safe or Toxic? It may not be easy to resist the soft whimpering or sad eyes of a dog, perched next to a table of food sending off delicious aromas into the air right into his or her nose. The fact is, feeding your dog food from your table, even as a treat, can become a dangerous game if you’re not very mindful. Dogs don’t digest a lot of food that may be common for a human diet. Heavy fats and oils, for example, can lead to a variety of intestinal or digestion issues. Feeding fatty foods could mean subjecting your pup to any of those symptoms you might see on a Pepto Bismol bottle, or even something worse like pancreatitis. While some human foods are perfectly fine to give to dogs on occasion, it’s important to distinguish which are safe and which could be toxic, as items seemingly harmless — like avocado or raisins — are actually toxic for dogs. The best options for dogs tend to be items most of us would consider to be bland health food for fitness junkies. Things like steamed and chopped veggies, or steamed or baked potatoes (all unseasoned); oats, plain rice, and some fruits are perfectly okay to give your dog in moderation. You will want to ensure that you’re adjusting the dog’s diet between human and dog food to compensate for the caloric intake provided by the human food in order to make sure the dog has a healthy weight and a balanced diet. And don’t ever feed your pet junk food! Another thing to consider is your dog’s dependence on human food. If you provide your dog with table scraps (only of the appropriate variety), your dog may become dependent on that food to the point of straying away from typical dog food, and even learn to start annoying you or anyone else at the table by begging, which is behavior you probably don’t want. Bones Are Good for Dogs, Right? Bones have a variety of benefits toward the general nutrition and health for dogs, like the calcium and minerals present in the bones — plus the fact that they serve as great ways to keep a bored pup busy; but cooked bones in particular can serve as a danger for your pet. Cooked bones are going to be more brittle than their raw counterparts, and thus will tend to fracture or splinter. These fractures can wind through your dog’s digestive system and cause discomfort and even perforate stomach or intestinal lining. You might be thinking that the best option is to give your dog a raw bone instead, but this serves another issue in the way of harmful bacteria that could still be present on the bone. It’s possible to do a vinegar soak to eliminate this issue, and you will certainly want to do so if you choose to provide a raw bone to your pup, but there are better alternatives that give the same overall enjoyment to a dog, like rawhide. Rawhide allows your dog to chew at leisure, without the messiness or potential bacteria that comes from bones ending up on your carpet or furniture. In all cases you’ll want to make sure that you keep a watchful eye over your dog when they’re chewing on a bone, and be sure to carefully remove the bone in the event that it has become too small. 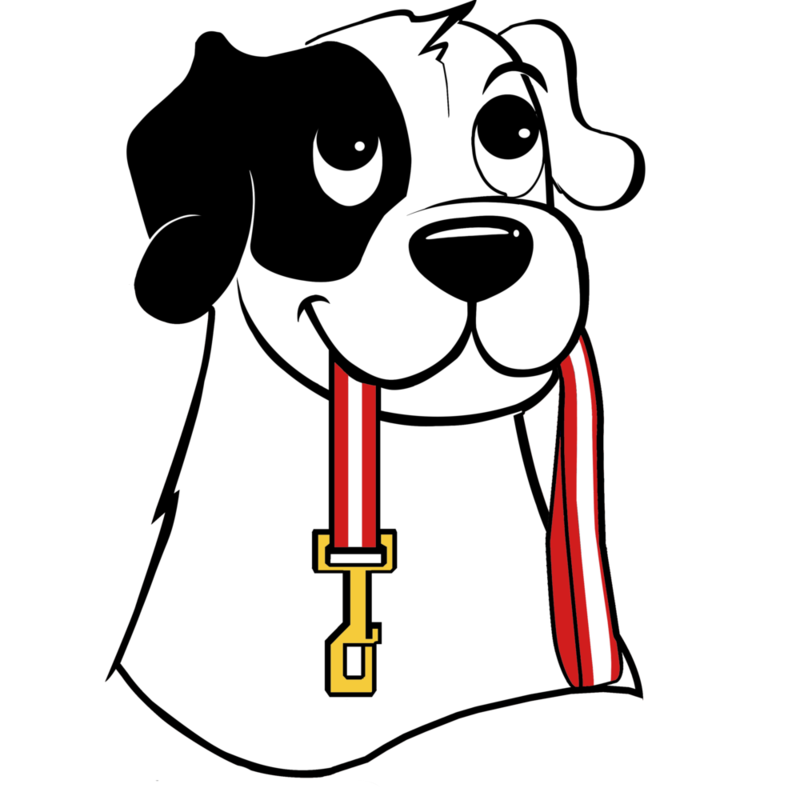 Rawhide in particular does not dissolve in the intestines, so it’s important to make sure your pup doesn’t swallow. You can consider an excellent and tasty rawhide alternative to avoid the potential problem altogether. But the best policy is to just keep it simple, and stick to the basics of dog food and dog treats for your pet as much as possible. Should you wish to deviate, simply do the research first and foremost to ensure you’re not giving your dog something that could be harmful, toxic, or bad for their diet. When it comes to pets at the table, it’s best that we think before we feed. What are some of your dog’s favorite (and safe) human food items or dog treats? Have you ever cooked a special dog-appropriate meal using human food? Let us know below in the comments.